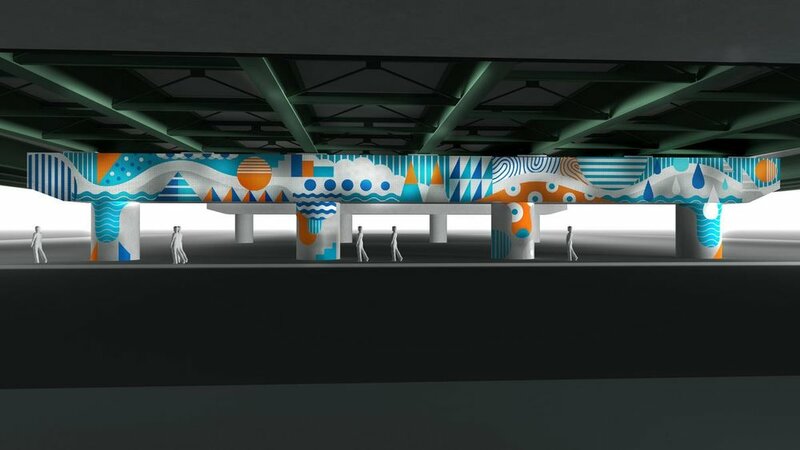 Kong Wee Pang, an award-winning artist, Memphis College of Art alumna and art director at Memphis-based ad agency Archer Malmo, has been selected to activate a Downtown underpass with public art. Pang's work was selected among four finalists, all of whom responded to a joint request for qualifications from the Downtown Memphis Commission (DMC) and the UrbanArt Commission for public art on an I-40 underpass near the Memphis Cook Convention Center. "My inspiration is based on the movement of the Mississippi River," Pang said. "Under the bridge, when a car is moving on the highway, the bridge also has a slight movement. It is perfect for the movement of the sequins."